Large tech firms have created a monopoly on mapping data which has stifled innovation from small companies and startups, the ODI argues. Opening this information up for others to use would not only grant wide access to more comprehensive mapping data, but would allow smaller companies to iterate on their respective technologies. Drone delivery services and self-driving cars were offered as examples of products that would benefit from open map data. The report concludes geospatial data is a "vital resource in the digital age" and used throughout most aspects of life. Between $7 billion and $14 billion could be generated for the country if mapping data was shared, according to a previous UK government estimate. "The large companies are becoming more like data monopolies and that doesn't give us the best value from our data," Jeni Tennison, chief executive of the Open Data Institute, said in a statement to The Verge. ODI is not an unknown organization in the UK, and carries some clout of its own. It was founded in-part by the inventor of the World Wide Web, Tim Berners-Lee, alongside an AI professor out of the University of Oxford, Nigel Shadbolt. There is no word on what the UK government plans to do, if they are mulling a decision to act on the matter or if there is much demand for such a change. Apple has been investing in a ground-up rework of its first-party mapping product for years. The project involves vans outfitted with specialized equipment that initially surveyed streets in California before spreading across the U.S. and into other countries. 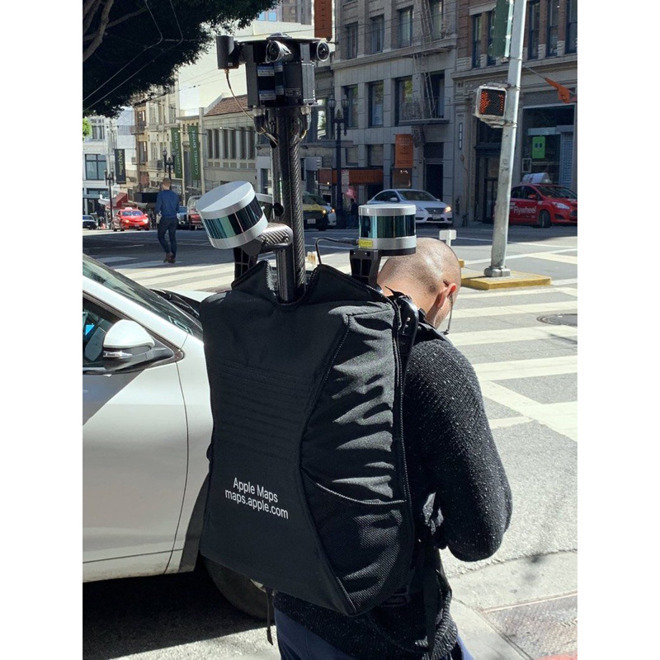 More recently, the company started collecting pedestrian data from person-mounted positioning systems to improve walking directions and capture previously undocumented pathways. A considerable behind-the-scenes effort parses raw data using specialized software, the results of which are digested, refined and ultimately pushed out to users in Maps.